Karen Farina, Owner and Director of CenterFocus pilates, has been a wellness professional for over 30 years with an emphasis on mind-body disciplines. Part teacher, part coach, part science nerd, and part athlete, Karen has a passion for helping people optimize their health and their life. Whether it’s working with an injury or medical conditions, becoming better for a specific sport, or just becoming really fit and healthy, Karen loves the challenge of figuring out the best approach for each individual she sees. A Temecula resident for over 20 years, Karen enjoys an active life in both work and play. Karen was born and raised outside of Chicago in an athletic family where she was a competitive swimmer and triathlete. This love for athletics led her on a path to inspire others to be active…not just for competition, but for health and well-being. Her early career includes roles at an innovative hospital wellness center outside Seattle (Valley Medical Center) and the exclusive Golden Door resort. 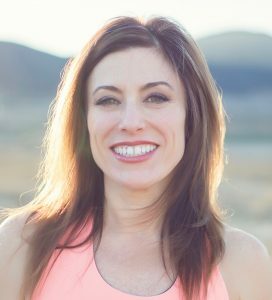 Since 1997, Karen has been teaching the pilates method and studied under some of the most renowned pilates teacher-trainers. In 2010 Karen was selected as a guest pilates instructor at Cascina Papaveri, a vacation retreat in Piedmont, Italy. Karen earned a bachelors degree in Exercise Science from Northern Illinois University. Her pilates certifications are with the Physical Mind institute and Body Arts and Science International (BASI). Karen has also been trained in PFilates (pelvic floor pilates) method for specific, advanced pelvic floor strengthening. Karen is a member of the Pilates Method Alliance. 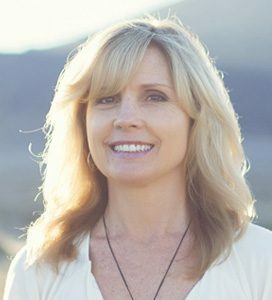 Karen regularly attends ongoing continuing education conferences and workshops to stay up to date with the latest research in this ever evolving field of Exercise and Mind/Body Science. She feels this has been the key to the longevity of her career and having as much passion about the subject now as she did years ago as a new teacher…staying current and continually honing her teaching skills to give her clients more and better results! Korrie has been a movement practitioner for more than 20 years. She began her career as a gymnast in Jr. high and high school and later became a high level gymnastic judge for 20 plus years. She certified with The Method Pilates in mat levels 1 & 2 in 1993. She later went on to certify with Polestar Pilates studio based pilates in 2003. She is Pilates Method Alliance certified, and keeps up with continuing education credits yearly. She has emphasized her pilates career on rehabilitation of injuries, using her tools of yoga, massage, acupressure and incorporating the mind, body connection. She believes that functional movement, used in pilates is the key to restoring health and alleviating pain. Over the years Korrie has studied with great pilates teachers who have inspired and influenced her teaching. In addition to Brent Anderson of Polestar Pilates, she has attended yearly workshops with 1st and 2nd generation teachers. She has worked on many different bodies and is inspired and grateful for each one. It is her desire and passion to improve the lives of her clients so that may live a pain free, flexible and incredible life. Korrie is a certified Iyengar, Anusara, and hatha yoga teacher. She is also a certified TRX instructor. She has an A.S. in Massage therapy and Chinese Medicine and is currently getting her masters degree in Acupuncture at Pacific College of Oriental Medicine in SD.